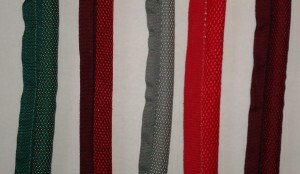 Stock Interiors is proud to offer the highest quality reproduction Pontiac Bonneville Windlace available. Our Reproduction Windlace is a woven fabric, sewn around a 1/2 inch foam rubber core, with a 3/4 inch flange for tacking. Occasionally it is necessary for the installer to sew strips of stiffener material (such as cardboard) to the flange.